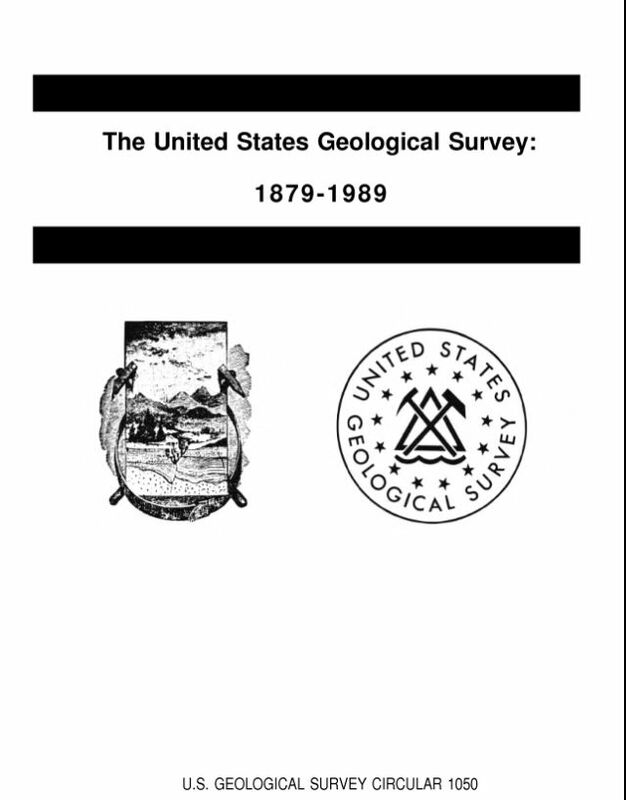 The spelling of “gage” is part of our very rich USGS history. In 1888, USGS Director John Wesley Powell met a very forward-thinking man named Frederick H. Newell. Powell was so impressed that he made Newell the first full-time appointee to the new Irrigation Survey, which was created to investigate the potential for dams and canals in the western U.S.
At that time, there were no practical and systematic techniques for obtaining daily streamflow (or “discharge”) records, so Newell set up a training camp on the Rio Grande River at Embudo, New Mexico. Newell’s “Camp of Instruction” developed water measurement methods that are widely used by the USGS today. During the next ten years, Newell continued to play an important role in the development of streamflow gaging techniques and methods, and he eventually became the first Chief Hydrographer of the USGS. Newell is purported to be the person responsible for the adoption of the USGS spelling of “gage” instead of “gauge”. Around 1892, Newell reasoned that “gage” was the proper Saxon spelling before the Norman influence added a 'u'. USGS historian Robert Follansbee speculated that Newell might have also been influenced by the adoption of “gage” in the Standard Dictionary (the first dictionary produced by Funk and Wagnalls). 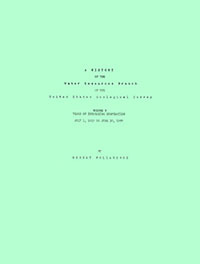 See page 66 of A History of the Water Resources Branch, U.S. Geological Survey: Volume I, From Predecessor Surveys to June 30, 1919. Rosenshein, J.S. ; Moore, J.E. ; Lohman, S.W. ; Chase, E.B. 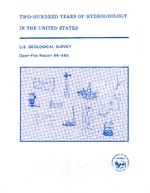 Two-hundred years of hydrogeology in the United States; 1986; OFR; 86-480; edited by Rosenshein, J. S.; Moore, J. E.; Lohman, S. W.; Chase, E. B. 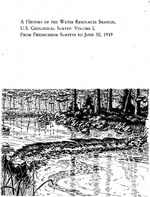 This volume of the History of the Water Resources Branch of the United States Geological Survey by Robert Follansbee covers the period from July 1, 1919, to June 30, 1928. In conformity with the practice followed in the first volume of the "History" Mr. Follansbee has named this volume "Years of Increasing Cooperation." Early streamgage data were recorded on paper. 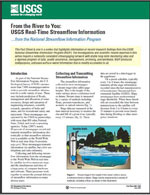 Today, streamgage data are collected, transmitted, and maintained in digital form. An early streamflow measurement made for the USGS by Professor T.U. Taylor of the University of Texas at Austin. A close-up view of the top part of one of the oldest streamgage structures constructed in Texas. One of the oldest versions of a streamgage structure constructed in Texas. Looking upstream from gage site at Trinity River at Commerce Street Bridge. This 1922 photo shows an early USGS streamgage on the Trinity River in Dallas. Early versions of streamflow measuring equipment used at this streamgage.